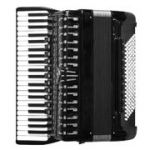 Central Florida Accordion Club is a not-for-profit organization whose purpose is to promote the accordion, encourage accordion players, and maintain public interest in accordion music. We have members who play music in all genres, and with various levels of skill from beginner to highly accomplished. Membership is open to students, hobby players, professionals, instructors - also to enthusiasts even if they don't play.